We have fifteen years of quality experience providing on site Microsoft, Microsoft for Mac, Adobe and Apple training in Sydney and throughout regional NSW. We are the professionals with involving and engaging service that results in clients who keep coming back year after year. Your staff will love their new skills, whether basics, intermediate or advanced and our on-site training service is the best way to upskill your staff in Sydney, New South Wales and Australia-wide! We provide training from one-on-one to groups of twelve or more. Bringing our T7 training laptops, our classroom in your meeting room is truly unique. Book our well-known basics, intermediate and advanced courses – or we can customise a course for you to perfectly suit the requirements of your staff with matching personalised course books, at no extra charge! We provide training for Microsoft Excel, Word, PowerPoint, Outlook, Project and Publisher. We also provide training in Excel for Mac, Word for Mac, PowerPoint for Mac and Outlook for Mac. Adobe InDesign and Photoshop courses are also available as well as Apple Keynote training. Our onsite training allows your staff to learn in the familiar location of your office and meeting room at all locations in Sydney as well as across Australia for group training or one-on-one training. Use our contact form for information about onsite training with T7 Training Systems anywhere in Sydney and throughout country NSW or call us on 1300 092 582. T7 Training Systems provides classic basics, intermediate and advanced courses or personalised courses with matching personalised course books to perfectly match the requirements of your staff, and all this at no extra charge. 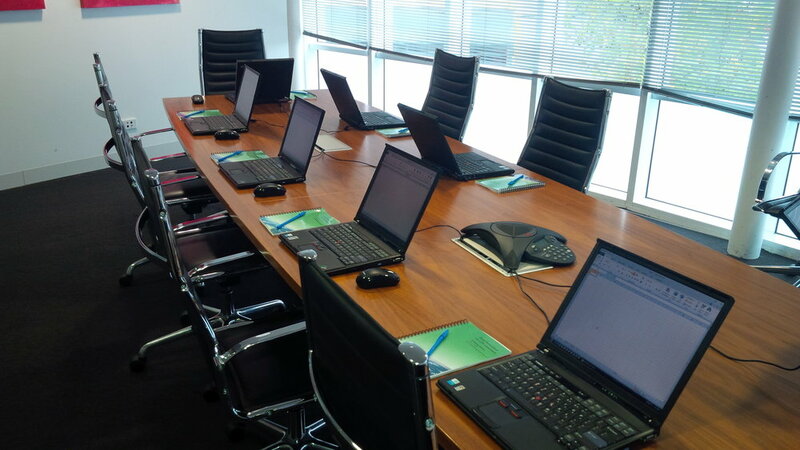 We provide and set up our T7 Training laptops for participants to use at no extra charge making it easy for your staff to walk in and start learning. If you prefer, you can supply laptops yourself and receive a discount! We’re Australia’s most reliable and professional service, right in your meeting room throughout Australia in all capital cities and all regional areas. All versions available including Microsoft Office 365, Office 2016, Office 2013 and Office 2010. All our Excel courses are also available for Apple Mac including Microsoft Office for Mac 365, Office for Mac 2016 and Office for Mac 2011.